Pasadena Art Studio presents art classes for people of all ages and skill levels. Students explore various mediums, ranging from pencil to paint, in search of the one that works best for them. An assortment of techniques will also be introduced to students in the hope that they will eventually find their own personal style. Classes at the Pasadena Art Studio are small. This allows students to recieve more attention and one-on-one instruction, in addition to creating a comfortable learning environment. Pasadena Art Studio offers a broad range of lessons in which attention is focused on the individual artist. 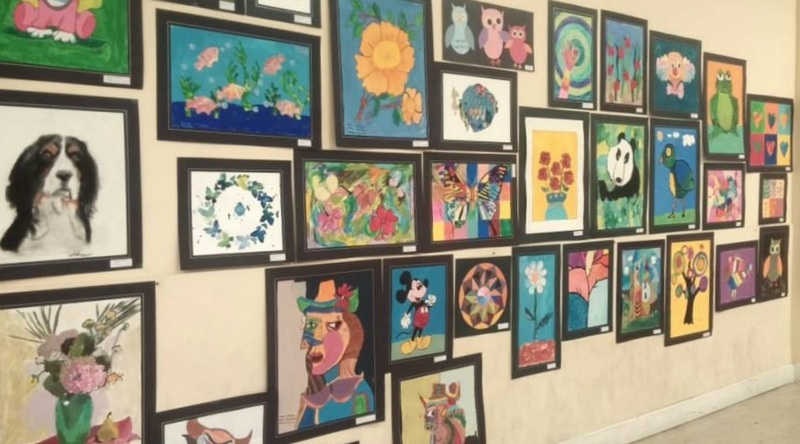 It is recommended that children who enroll have some interest in art and older students should be committed and willing to take the necessary steps towards obtaining artistic skills. Classes Available 6 Days a Week. Please note that the Pasadena Art Studio pricing, policy, and schedule are subject to change. The maximum time for classes is an hour and a half. for schedules, pricing, and other information. All necessary art supplies and materials will be provided to students. Pupils need only come with a ready to learn attitude and an interest in art. The Pasadena Art Studio’s classroom structure is based on the number of students enrolled in a given semester; so depending on this, private lessons may or may not be available. Students are encouraged to arrive and leave on time and to display appropriate classroom behavior. Please contact us using the form bellow and we will get back to you.